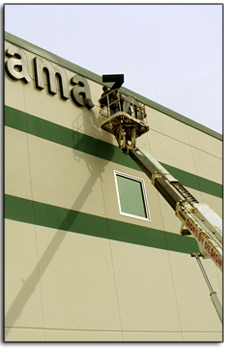 Along with custom manufacturing, A Sign By Design has the ability to install any site signage. With various Crane, Ladder Trucks, and lifts, we offer any solution required by our clients. Our installation crews work around the clock to ensure customer satisfaction.